Our Newest Device – A faster way to tighten skin! Moy, Fincher, Chipps Facial Plastics and Dermatology is the leading cosmetic dermatology practice in Beverly Hills. As such, we’re constantly acquiring new devices and technology that provide better results for our patients. Our newest device is IntraGen RF an innovative, no-pain skin tightening technology. Intragen RF uses radiofrequency heat energy to stimulate collagen synthesis and tighten skin. The IntraGen system uses Grid Fractional technology for increased comfort and precisely monitors deeper skin temperatures to deliver the ideal, most efficient energy during treatment. Because skin temperatures can be raised to target temperatures more quickly, treatments typically take less time than other traditional RF devices. The grid fractional applicator spreads out the RF energy to protect the surface of the skin and creates a uniform thermal zone in the the deeper skin layers for safe, reproducible, and consistent results. Because the current is divided among many micro electrodes, there is no risk of burns and treatments are very comfortable and even painless for many patients. 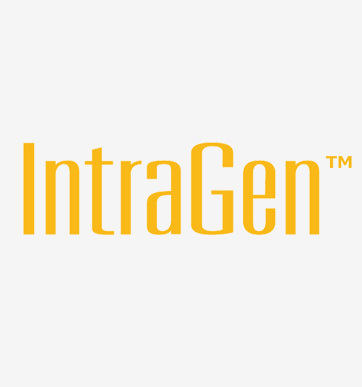 No more guessing, IntraGen redefines RF skin treatments from the inside out!